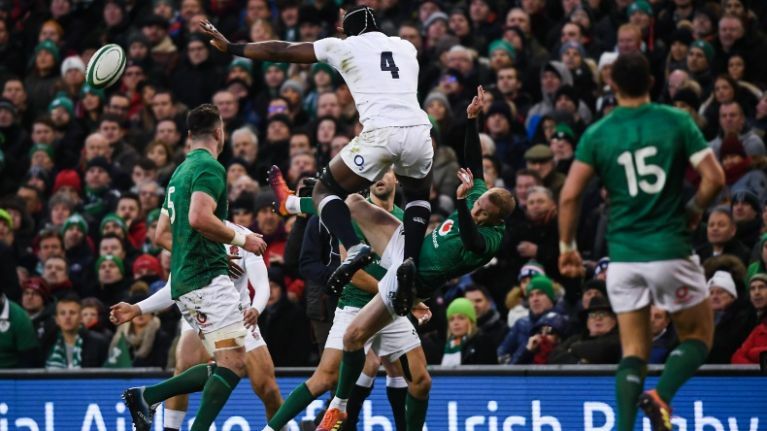 The game didn't start to plan for Ireland as England emerged and initially bullied Ireland physically before Jonny May went over in the corner. Ireland hit back with a Sexton penalty as England's indiscipline cost them with Tom Curry seeing yellow and the penalty count racking up. But it's England who are in front at the break as they lead 17-10 with 40 minutes left to play. It was a hell of a half of rugby, even if it's not going Ireland's way at the moment. Keith Earls came in for a lot of treatment in the first 40 minutes but the Moyross man is made of tough stuff. They don't seem to like Keith Earls much, do they? How are we feeling about the second half? Not seen England play as well as this since their 2016 pomp under Eddie Jones. They're a side revitalised...and that's the ultimate compliment. This Ireland side is so highly-rated.